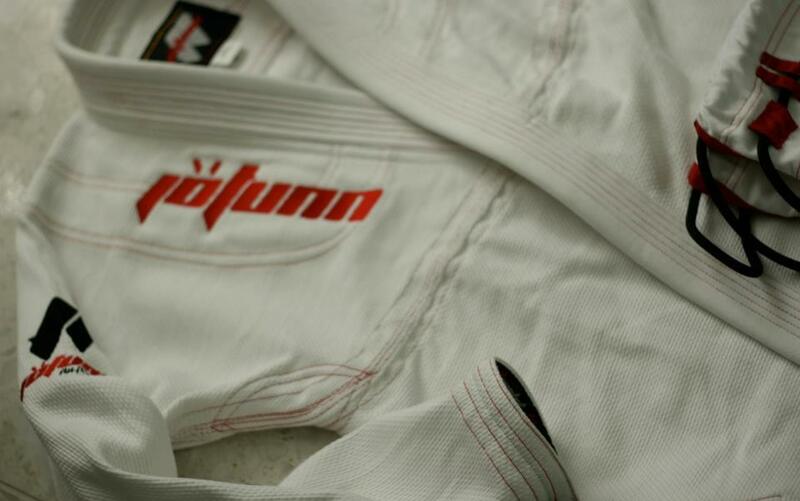 Fuji has been manufacturing martial arts uniforms for decades longer than most of the competition. The company was founded in the 1960s by Frank Hatashita, known in the Canadian Black Belt Hall of Fame as “The Father of Canadian Judo”. A judoka since 1927, Hatashita received his black belt in 1934 and went on to act as a driving force behind introducing judo to the 1967 Pan Am Games and the 1964 Tokyo Olympics, in which he coached Canadian judoka Doug Rogers to a silver medal. Hatashita/Fuji Sports was founded in the 1960s, expanded into the United States in the 1980s, and has continued to evolve through partnerships with judo, Brazilian jiu-jitsu, and mixed martial arts athletes and organizations including Jimmy Pedro, Gracie Humaita, Ronda Rousey, Jeff Curran, and the Abu Dhabi Combat Club. This company has roots. Fuji sent BJJ Legends one of their newest products for testing, the IBJJF-approved Kassen II Brazilian jiu-jitsu gi. It’s light, comfortable, no-nonsense, and may just have elbowed its way to the top of my kimono pile. The Kassen II gi we received is a straightforward, no-frills item: a white pearl weave jacket and cotton twill pants. 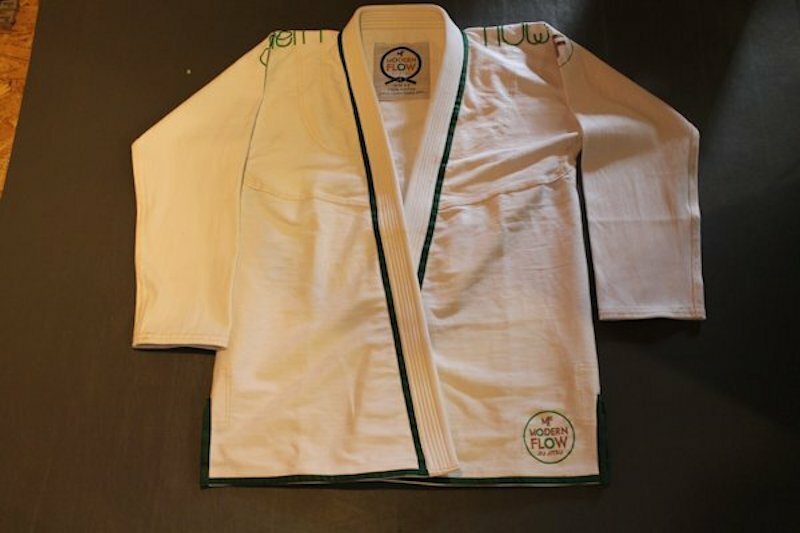 The Fuji website states that this gi was designed specifically to meet IBJJF regulations, which ideally means no expensive surprises on competition day. The jacket and pants are lightweight, reinforced in the regular spots, and appear to have the same manufacturing quality that we expect from a veteran manufacturer like Fuji. 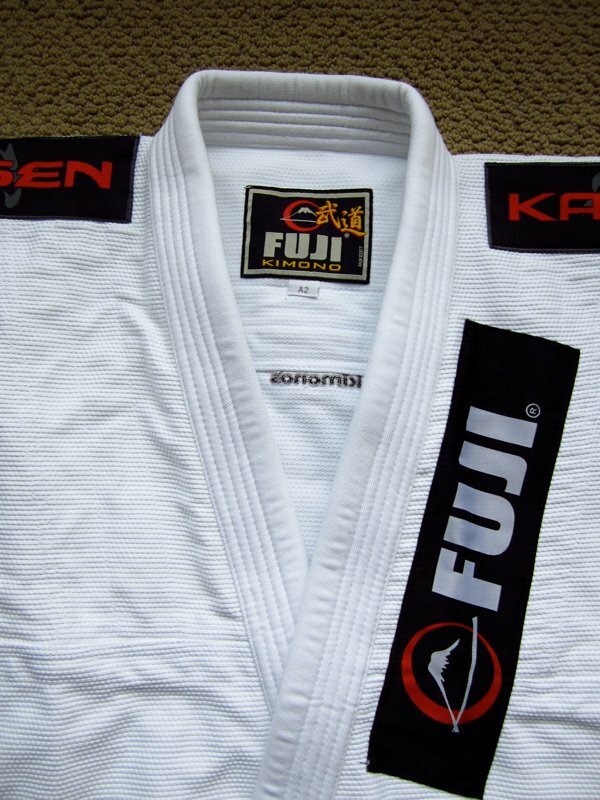 Fuji’s roots are in judo, so it’s no surprise that the Kassen II gi leans towards a classic, understated look – a nice option for those who aren’t drawn to the increasing number of elaborate designer gis on the market. There are patches on the shoulders and lapel and an embroidered logo between the shoulder blades. Nice and clean. The jacket is light and is reinforced in the armpit, across the chest seams, and at the side vents. The Kassen II’s pants follow the theme – lightweight, functional, clean design. Nothing fancy. There’s a long patch on the outside upper thigh, reinforcements on the waist notches, and full-width reinforcement panels running from upper thigh to the bottom of the pant leg. My first impression when I put this gi on was, “who took my measurements and sent them to Fuji?” I’m 5’9”, hovering around 170, and this A2 was a perfect fit straight out of the bag. A nice surprise, but it means hang dry only (and substantial facial exfoliation benefits for my training partners). See the chart below for measurements after about five rounds in the washing machine and on the drying rack. I have nothing but praise for the Fuji Kassen II gi’s feel and performance. As mentioned, it was made for my fairly average build so I’m biased. Because it’s closer fitting than my other A2s (Atama Mundial, Keiko Raca gold weave, Ground Game Titan, Break Point Lightweight Deluxe) I was concerned that the gi might restrict movement by pulling at the shoulders, knees, hips, etc. It does not at all, movement is fluid and unimpeded. The Fuji Kassen II is an IBJJF-approved, lightweight, no-frills gi made with classic Fuji quality. It comes in white, blue, and black in sizes A1-A6. The A2 tested was a close fit on an average build, so those on the stockier side may find it too slim, especially if they like to dry their gi in the dryer. For me? It looks like my battered Atama Mundial may just have been bumped from its place at the front of the closet. The Fuji Kassen is available in white, blue and black (all are $139.00). For more information on Fuji check them out at their website, Facebook, Twitter and YouTube.